Over the past few years we’ve noticed that marketing tends to be the first thing a client wants but the last thing they need. I know, strange to hear this coming from a creative agency but bear with me a moment! Every meeting starts off the same way – we ask four core questions. It seems very simple but a large majority of business fail to truly understand their product and their market. In order to grow your business you need to understand exactly what you do, who your customer is and what makes your business and/or product so compelling. 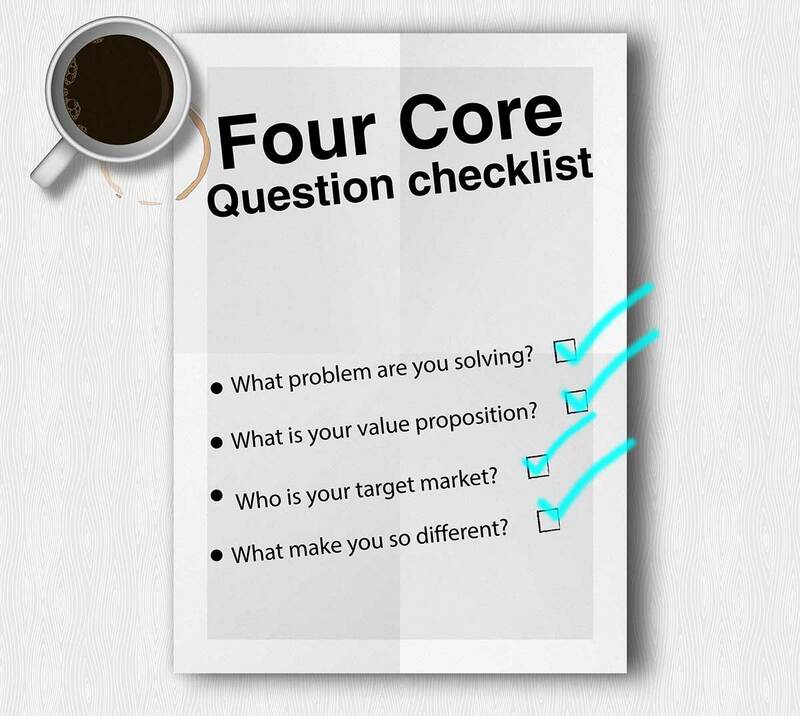 If you have the time take an hour out of your day to stop, think and go through our four core question checklist to make sure you’ve got the four core questions covered.